Preacher Archives - Page 2 of 2 - Horror News Network - The Horror News You Need! 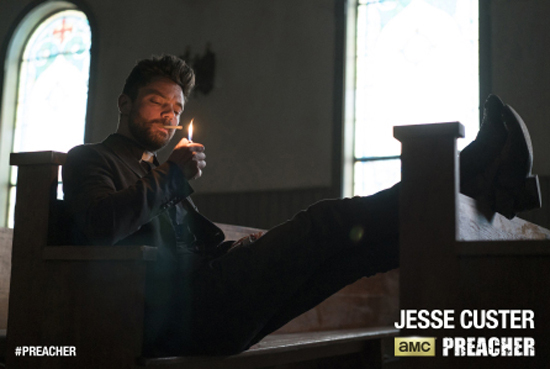 AMC announced today via a press release that Preacher Season One was the second highest Neilsen-rated drama of 2016. Preacher finished second only to FX’s American Crime Story: The People vs. O.J. Simpson in the coveted 25-52 year old demographic. The Garth Ennis-Steve Dillion adaptation averaged 3.0 million viewers per episode and will return for an extended second season next year. 12 Monkeys has been renewed by Syfy for a 10-episode third season. The series is based on the 1995 film of the same name. It is centered around Cole (Aaron Stanford), who is sent back in time from a terrifying future, to try and prevent it from developing. He joins forces with Dr. Railly (Amanda Schull) in the present day to try and defeat the ancient evil organization known as the Amry of the 12 Monkeys. It also stars Kirk Acevedo, Emily Hampshire, Barbara Sukowa and Todd Stashwick. 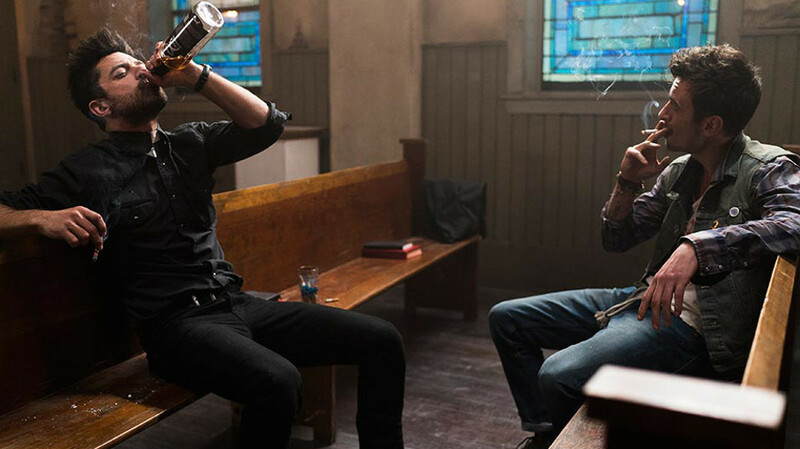 First look photos for the upcoming drama series ‘Preacher’ have been released by AMC. 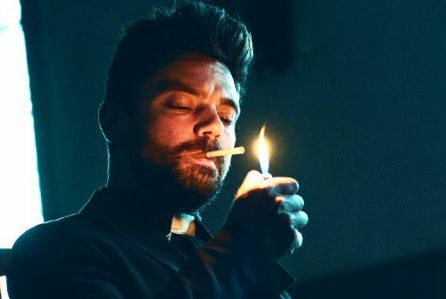 They feature the lead characters of the series, Jesse Custer (Dominic Cooper), Cassidy (Joseph Gilgun) and Tulip (Ruth Negga). It will premiere at SXSW, head of it’s debut in May on AMC. It is based on the 1990’s cult comic by Garth Ennis and Steve Dillon, and produced by Seth Rogen and Evan Goldberg, Sony TV and AMC Studios.